Immaculate & move in ready 4 bedroom, 2.5 baths & a 2 car garage CBS constructed 1 story pool home. 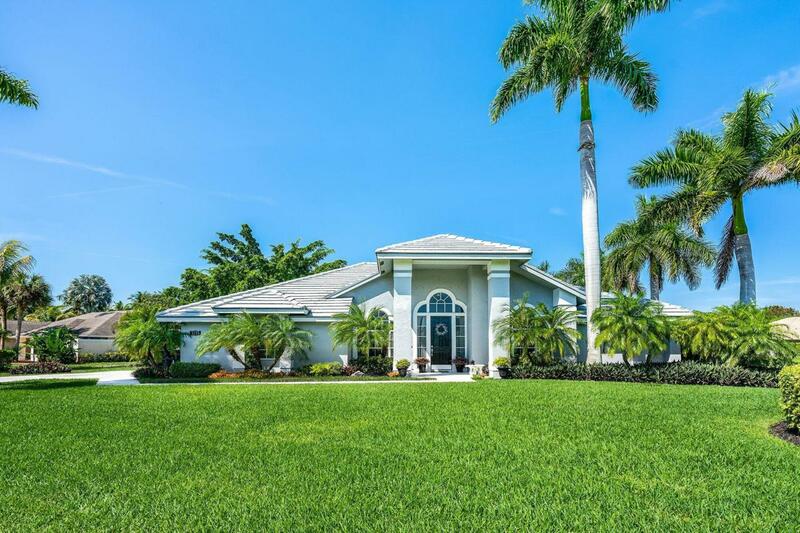 Located in the desirable community of Meadow Wood right in the heart of Wellington. Over a 1/2 acre of land situated on a corner lot. Beautiful curb appeal with upgraded landscaping in front and back of house. Professionally painted exterior & interior with warm inviting colors. Wood flooring in kitchen, family room and master bedroom. Open kitchen with granite tops & stainless steel appliances. The 4th bedroom is tiled. The large screened covered patio and pool is surrounded by lush tropical landscaping for plenty of privacy. The pool and patio offers plenty of space for pool parties and large gatherings. The pool has all the electrical lines ready for a pool heater. It is also a autoclean pool. The garage is air conditioned for either a extra room or for your cars. The driveway is long and wide and fits plenty of cars. Hurricane shutters are included. Meadow Wood is located in the best school district in all of Wellington. Close to Polo & Equestrian Clubs, "A" rated schools, parks, Wellington Town Center, Wellington Green Mall, 15 minutes to downtown Cityplace & only 20 minutes to the Palm Beach International Airport. Great house with land and a HOA of only $138 a Year. A must see! !